We are excited to offer this 2018 Kia Forte. Everyone hates the gas pump. Skip a few gas stations with this super fuel efficient KiaForte. Just what you've been looking for. With quality in mind, this vehicle is the perfect addition to take home. There is no reason why you shouldn't buy this Kia Forte EX. It is incomparable for the price and quality. You've found the one you've been looking for. Your dream car. We look forward to seeing you soon! Please call us for more information. We are excited to offer this 2018 Kia Optima. This Kia includes: CONVENIENCE PACKAGE Power Windows Power Driver Seat Driver Adjustable Lumbar 17 ALLOY WHEELS PACKAGE Tires - Front Performance Aluminum Wheels Tires - Rear Performance CARGO MAT (PIO) MUD GUARDS (PIO) CARPETED FLOOR MATS (PIO) Floor Mats *Note - For third party subscriptions or services, please contact the dealer for more information. * Everyone hates the gas pump. Skip a few gas stations with this super fuel efficient KiaOptima. Just what you've been looking for. With quality in mind, this vehicle is the perfect addition to take home. The look is unmistakably Kia, the smooth contours and cutting-edge technology of this Kia Optima LX will definitely turn heads. We look forward to seeing you soon! Please call us for more information. We are excited to offer this 2018 Kia Optima. This Kia includes: CONVENIENCE PACKAGE Power Windows Power Driver Seat Driver Adjustable Lumbar 17 ALLOY WHEELS PACKAGE Tires - Front Performance Aluminum Wheels Tires - Rear Performance CARGO MAT (PIO) CARGO TRAY (PIO) CARGO NET (PIO) CARPETED FLOOR MATS (PIO) Floor Mats SNOW WHITE PEARL *Note - For third party subscriptions or services, please contact the dealer for more information. * Why spend more money than you have to? This Kia Optima will help you keep the extra money you'd normally spend on gas. You've found the one you've been looking for. Your dream car. There is no reason why you shouldn't buy this Kia Optima LX. It is incomparable for the price and quality. We look forward to seeing you soon! Please call us for more information. We are excited to offer this 2018 Kia Optima. This Kia includes: 17 ALLOY WHEELS PACKAGE Tires - Front Performance Aluminum Wheels Tires - Rear Performance WHEEL LOCKS (PIO) Wheel Locks CARGO NET (PIO) CARPETED FLOOR MATS (PIO) Floor Mats *Note - For third party subscriptions or services, please contact the dealer for more information. * Why spend more money than you have to? This Kia Optima will help you keep the extra money you'd normally spend on gas. The Kia Optima LX will provide you with everything you have always wanted in a car -- Quality, Reliability, and Character. The look is unmistakably Kia, the smooth contours and cutting-edge technology of this Kia Optima LX will definitely turn heads. We look forward to seeing you soon! Please call us for more information. We are excited to offer this 2018 Kia Optima. 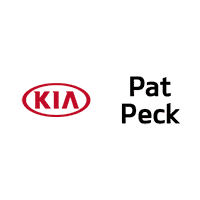 This Kia includes: 17 ALLOY WHEELS PACKAGE Tires - Front Performance Aluminum Wheels Tires - Rear Performance CARGO NET (PIO) CARPETED FLOOR MATS (PIO) Floor Mats SNOW WHITE PEARL *Note - For third party subscriptions or services, please contact the dealer for more information. * Save money at the pump with this fuel-sipping Kia Optima. You could keep looking, but why? You've found the perfect vehicle right here. You can finally stop searching... You've found the one you've been looking for. We look forward to seeing you soon! Please call us for more information. We are excited to offer this 2018 Kia Optima. This Kia includes: CONVENIENCE PACKAGE Power Windows Power Driver Seat Driver Adjustable Lumbar 17 ALLOY WHEELS PACKAGE Tires - Front Performance Aluminum Wheels Tires - Rear Performance CARGO MAT (PIO) CARGO TRAY (PIO) CARPETED FLOOR MATS (PIO) Floor Mats *Note - For third party subscriptions or services, please contact the dealer for more information. * Everyone hates the gas pump. Skip a few gas stations with this super fuel efficient KiaOptima. Just what you've been looking for. With quality in mind, this vehicle is the perfect addition to take home. You've found the one you've been looking for. Your dream car. We look forward to seeing you soon! Please call us for more information. We are excited to offer this 2018 Kia Optima. This Kia includes: CONVENIENCE PACKAGE Power Windows Power Driver Seat Driver Adjustable Lumbar 17 ALLOY WHEELS PACKAGE Tires - Front Performance Aluminum Wheels Tires - Rear Performance CARGO MAT (PIO) MUD GUARDS (PIO) CARPETED FLOOR MATS (PIO) Floor Mats SNOW WHITE PEARL *Note - For third party subscriptions or services, please contact the dealer for more information. * Save money at the pump with this fuel-sipping Kia Optima. You can finally stop searching... You've found the one you've been looking for. There is no reason why you shouldn't buy this Kia Optima LX. It is incomparable for the price and quality. We look forward to seeing you soon! Please call us for more information.